The Brazilian economy is dominated by the service sector which contributed approximately 66% to the total GDP in 2013. The country went through the global recession in 2009, but strong fundamentals have led the country to survive the crisis. Brazil presents strong investment opportunity in crude oil refining. The country has oil reserves which contribute approximately 0.9% to the global oil reserves. Brazil provides long-term opportunities in the oil and gas sector and at least 70% of the pre-salt areas remain untapped. Petrobras, which is the dominant player in upstream oil sector, is planning to invest in the oil and gas sector for exploration and production through partnerships. This report provides an analysis of the Brazilian economy from the historical, current, and future perspectives. 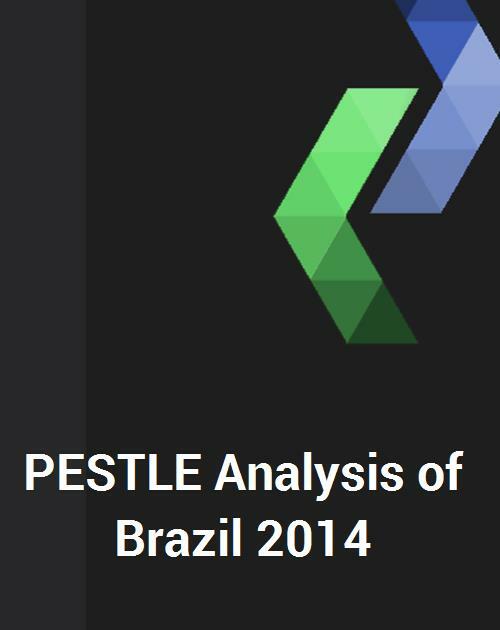 Also, SWOT analysis, forecast and scenario analysis, and risk analysis of Brazil is included in the report. The report also includes forecast of the economic growth through 2019. The report highlights various drivers and challenges which have influenced investment decisions in the economy. Brazil is a politically stable country which follows multiparty political system. Brazil has sufficient natural resources such as iron ores, petroleum, natural gas, and bauxite. Brazil has the world’s largest reserves of niobium with 93% of total global reserves. Brazil is the world’s second largest producer of iron ore and bauxite. The country has strong domestic demand and high foreign reserves. The country is; however, facing social challenges, such as increasing crime rate, which is raising the level of corruption. This unique report from the author will provide you with valuable information, insights, and tools needed to identify new growth opportunities and operate your business successfully in this market. This report will save hundreds of hours of your own personal research time and will significantly benefit you in expanding your business in this market. In today’s stringent economy, you need every advantage that you can find. - Know the business environment of the country using report’s PESTLE analysis and their impact on industry. Also included is Foreign Direct Investment and Trade structure analysis. This study is intended for material suppliers, parts fabricators, investors, executives, and consultants. This multi-client market study from the author is used by small to multi-national Fortune 500 companies and utilized for a variety of reasons as follows.